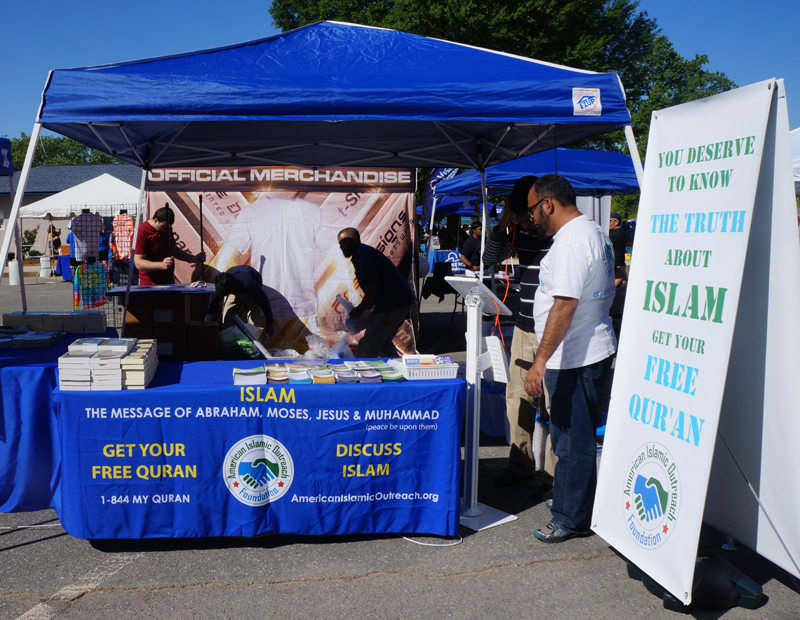 American Islamic Outreach was at the Annual Charlotte Asian Dragon boat Festival at Ramsey Creek Park, Cornelius NC. It was a beautiful and productive day! AIO had two information tables. 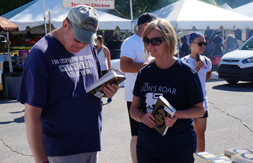 Each booth had many activities going on. 1. 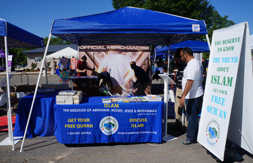 Free Qurans in English and Spanish along with many Free Brochures. 3. Opportunity to try on a Hijab. 4. Listen to the Quran. 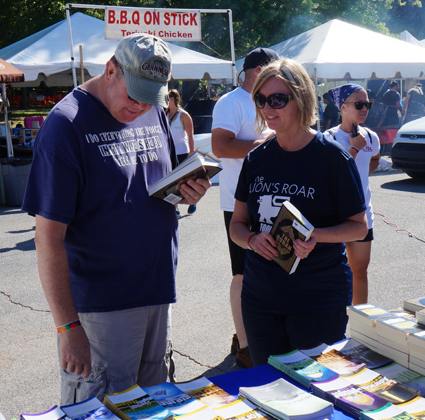 The flow of the general public was thriving in and out from the tables. Many questions and discussions were poised. One of the main topics that was frequently discussed was about comparing the Quran and the Bible. 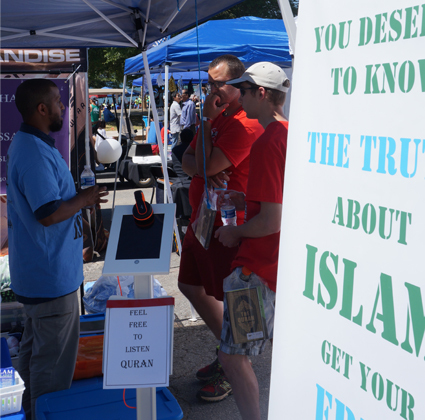 The public was very happy to see AIO information tables and were every appreciative to see AIO help dispel the misconceptions of Islam. The highlight of the day, was a Shahadah was taken.! May all be blessed with the right guidance on to the straight path. 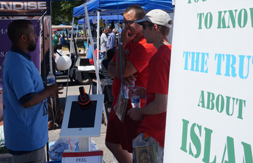 By the grace of God, American Islamic Outreach really appreciated this opportunity and will try to attend the Charlotte Asian Dragon Boat Festival next year.